Join the Georgia Conservancy for our annual service weekend on Sapelo Island! 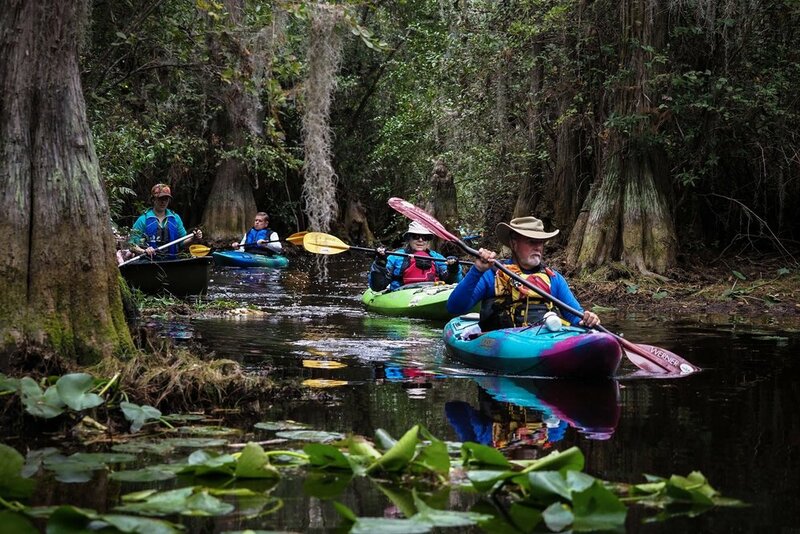 Spend a weekend exploring the Okefenokee Swamp National Wildlife Refuge! Celebrate the Georgia's great outdoors with live music, craft beers and campfires! Campout under the oaks and sea kayak during our weekend adventure on Jekyll Island! Explore the flooded bottomland forest along Ebenezer Creek in Effingham County!